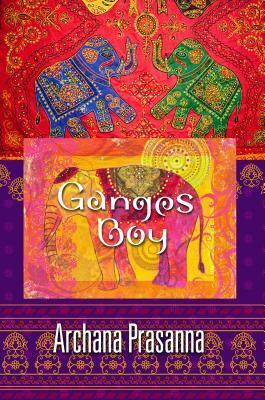 Ganges Boy is a profound coming of age tale, set against the backdrop of the fascinating city of Varanasi, India. Kabir is an orphaned adolescent slumdog struggling to cope with the loss of his murdered mother. He tries to navigate the harsh reality of street life before getting submerged in a foreign world of luxury where he is forced to discover his own self-identity. The riches of his new life are overshadowed by the greed and immoral behavior he witnesses. This is the story of good and evil, riches and poverty, and the fight of a boy to keep his ideals no matter where he is. Kabir’s journey is emotionally engaging as his colorful experiences give insight into the lives of street children in Varanasi. My trouble with this book is that, well, it’s predictable. From the moment we meet kabir, I had a pretty good idea about what would happen to him. On top of that, the story is told in a weird way. It’s third person point of view, but there’s so much telling going on, hardly any showing (from the old saying for authors ‘show, don’t tell’) that it’s like there’s an old woman in front of a fireplace telling me the story, rather than the main character himself. It puts so much distance between the main character and the reader that I had trouble keeping to the story, and I got bored halfway through. Kabir has no real personality. He accepts everything thrown at him, safe for his little outburst at the end. He copes with things easily, even his own mother’s dead. It just doesn’t seem natural. I liked the setting, and the Muslim/Hindu conflict touched upon briefly, but the writing and story left me unimpressed. This entry was posted in Blog Tours, Book Reviews and tagged blog tours, book reviews, coming of age, drama. Bookmark the permalink.